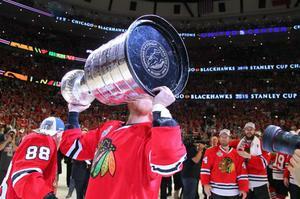 When the Chicago Blackhawks secured the Stanley Cup championship in mid-June--the team's third in five years--hockey fans all across Illinois rejoiced. And when the Blackhawks cavalcade made its way through the streets of downtown Chicago a few days later, some two million elated supporters lined the sidewalks and packed Soldier Field where the victory rally was held. 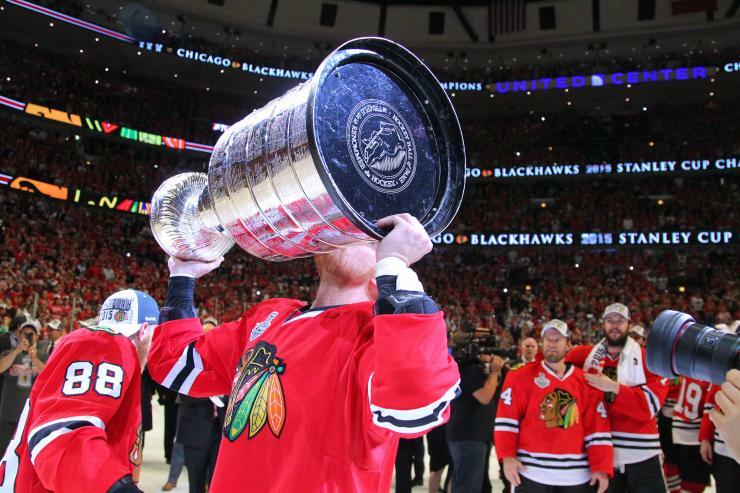 Just about everyone recognizes that the Blackhawks, like Chicago's other sports teams, are a vital part of the city's esprit de corps--and its economic infrastructure. The same kind of fervent fandom and economic reverb can be found in virtually every city in America that has a pro sports team. Every season these professional athletes play their hearts out, exhilarating, often electrifying, their hometowns. Often overlooked in all the cheering, however, is one core reality of the sports world: All these venerated players are also union members. Think about it. At a time when the corporate elite is waging an unprecedented war on the very existence of labor unions, some of the best-paid employees in the nation hold fast to their right to collective bargaining. Over the years, team owners have tried every possible tactic to break athletes' unions, but they haven't succeeded yet. Players have seen enough close up of the avarice of their bosses to hold to the fundamental union precept that, "We're stronger together." The pervasiveness of unions in professional sports offers a frontal challenge to the right-wing argument that unions undermine individual initiative and collective productivity. Who could doubt that these athletes give it their all every time they suit up? Who could argue that these teams don't function with an extraordinarily high level of discipline and efficacy? Who could claim with even a modicum of credibility that unions are impeding the triumphs of the teams we root for? In fact, the opposite argument can be made--that having a union that assures fair treatment helps to improve player morale and team cohesion. That same argument holds even greater weight for employees who aren't sports superstars. The more workers can have the respect and fairness that a union helps to ensure, the more they are motivated to concentrate on the jobs before them and give that work maximum effort. The economic benefits of unions for workers are undisputed. Unions helped to build the American middle class, and unions today are critical to sustaining it. A recent study by the federal Bureau of Labor Statistics found that the median earnings of union members are nearly $10,000 higher than those of non-union workers. But it is that very fact--that unions raise wages--that has spurred the efforts of the big-money class to obliterate unions entirely. Despite the fact that income is ever more concentrated at the very top--with the richest 5% now controlling more wealth than 90% of the people in this country--the super-rich are bound and determined to drive down the wages of average working people, including right here in Illinois. The good news is that it's not just professional athletes who are "stickin' to the union." More and more, working people all across this country and in every sector are standing together against the assault on their basic right to have a voice at work. Here in Illinois, we've demonstrated unprecedented unity in packing city council and county board meetings from one end of the state to the other to block Bruce Rauner's efforts to force local governments to endorse his anti-union "Turnaround Agenda." And union members in state government have stood up by the thousands in recent weeks to resist Rauner's attempt to take away their right to have a voice on the job. Perhaps most encouraging, more and more young people are joining labor's ranks. 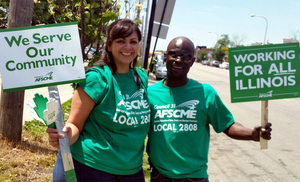 A recent poll found that favorability for unions was highest of any age group among those 18-24. And the pro-union vote by employees at Gawker Media is an important indication of the potential role of unions in new sectors of the economy. But unions will only be there for the workforce of today--and tomorrow--if more of us are prepared to do all we can right now. Like the Blackhawks, we have to focus on One Goal: standing up against the ruthless assault that is now underway not just on labor unions, but on the American Dream of fairness for all, that unions have been so critical to building and sustaining.